The essential characteristic of the early morning tray should be its dainty freshness. A pretty blue-and-white tea-service is shown in the first illustration. For those who prefer coffee, a charming tray can be arranged as in our central illustration. 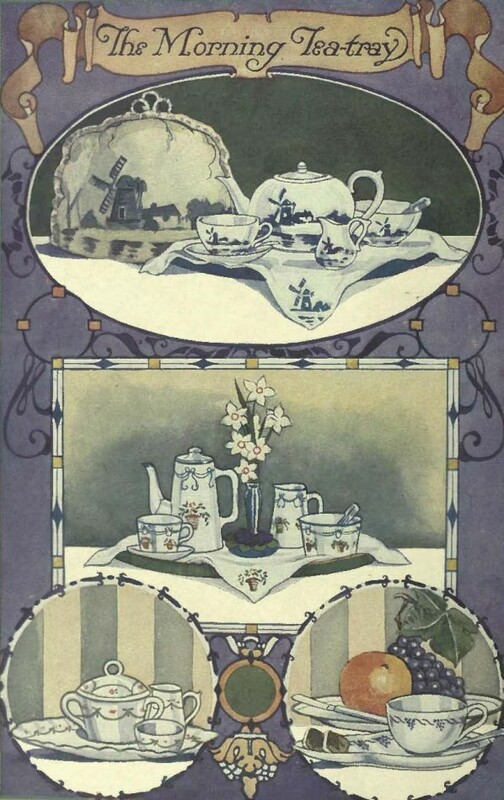 The covered cup in the third illustration provides a really hot cup of tea, while the cup shown in the last picture has the practical arrangement of a saucer that will also accommodate the toast or dainty slice of bread-and-butter, usually served with morning tea. Fruit by some is preferred to either tea or coffee. For the wealthy and socially aspiring Edwardians, life in London, according to Alastair Service, was often hard work to get idle pleasure. During the season, society descended upon London for three months of socializing, networking, sport, pleasure, and otherwise strengthening ties between families and acquaintances. With so many aristocrats and moneyed people taking part in the social whirl, town houses were in big demand whether they could be built, purchased, or let for the duration of the season. A few peers were in possession of large houses (Devonshire House, Spencer House, Stafford House, Londonderry House, etc), but most of society made do with elegant town mansions on or around the Grosvenor Estate in Mayfair in neo-Georgian, neo-Flemish, or neo-Elizabethan styles designed by such architects as Sir Ernest George, H. O. Cresswell. Detmar Blow and Fernand Billery, Eustace Balfour and Thackeray Turner, Sir Robert Edis, and various members of the Wimperis family. Though the return of the Liberal Government in 1906 slowed the flurry of building, many of the small Georgian houses in the area were demolished and rebuilt with Edwardian splendor between the years 1911 and 1913. 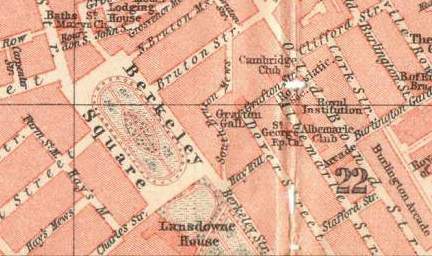 The town mansion profiled in this piece was designed by Ernest George and his partner Alfred Yeates on Charles Street, off Berkeley Square. 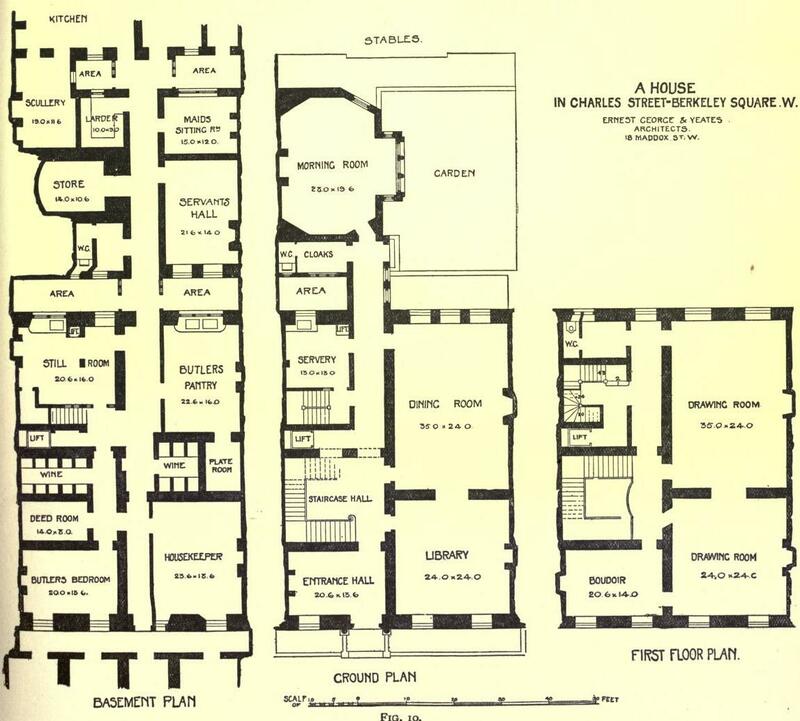 Based on the floor plan, the house was constructed mostly for reception purposes, with the obviously less important bedrooms for the owners and maids’ reached by a secondary staircase (not shown) to the second and third floors. The house boasted up-to-date fixtures, with electricity throughout the entire house, a serving lift, and speaking tubes for the owners to speak with the servants. 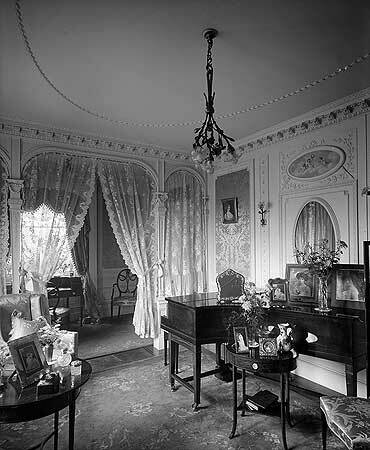 The great country houses and the homes of the wealthy were full of rooms. Rooms for eating, rooms for sleeping, rooms for business, rooms for sport, and so on and so forth. A few weeks ago on Word Wenches, Nicola Cornick discussed the historical concepts of privacy, and “privacy and status being inextricably linked.” The existence of the boudoir, which was a room set aside for the exclusive use of the lady of the house, was another facet of how the privileged lived. 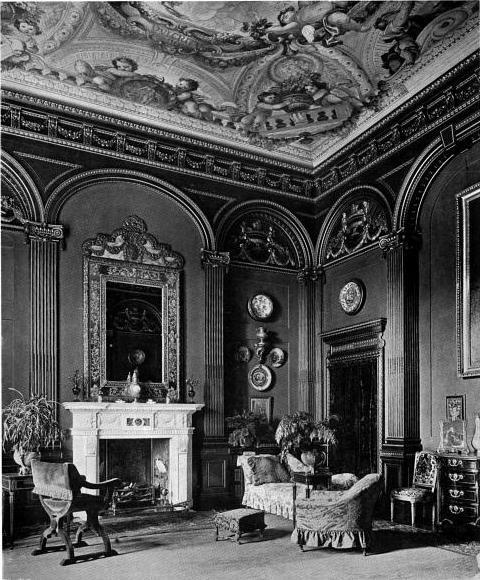 Public rooms, such as the breakfast room, morning room, sitting room, drawing room, or parlour, could be found in most aristocratic and upper class houses, but a home which also boasted of a boudoir was de rigueur amongst the aspiring middle classes. The boudoir should always be a small room, because in no other way can you gain a sense of intimacy. Here you may have all the luxury and elegance you like, you may stick to white paint and simple chintzes, or you may indulge your passion for pale-colored silks and lace frills. Here, of all places, you have a right to express your sense of luxury and comfort. The boudoir furnishings are borrowed from both bedroom and drawing-room traditions. There are certain things that are used in the bedroom that would be ridiculous in the drawing-room, and yet are quite at home in the boudoir. For instance, the chaise-longue is part of the bedroom furnishing in most modern houses, and it may also be used in the boudoir, but in the drawing-room it would be a violation of good taste, because the suggestion of intimacy is too evident. …[I]t is really sitting-room, library, and rest-room combined, a home room very much like my down-town office in the conveniences it offers. In the early morning it is my office, where I plan the day’s routine and consult my servants. In the rare evenings when I may give myself up to solid comfort and a new book it becomes a haven of refuge after the business of the day. When I choose to work at home with my secretary, it is as business-like a place as my down-town office. It is a sort of room of all trades, and good for each of them. …In a small house where only one woman’s tastes have to be considered, a small downstairs sitting-room may take the place of the more personal boudoir, but where there are a number of people in the household a room connecting with the bedroom of the house mistress is more fortunate. Here she can be as independent as she pleases of the family and the guests who come and go through the other living-rooms of the house. Here she can have her counsels with her children, or her tradespeople, or her employees, without the distractions of chance interruptions, for this one room should have doors that open and close, doors that are not to be approached without invitation. The room may be as austere and business-like as a down-town office, or it may be a nest of comfort and luxury primarily planned for relaxation, but it must be so placed that it is a little apart from the noise and flurry of the rest of the house or it has no real reason for being.